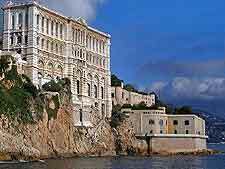 Monte Carlo has plenty of indoor museum attractions to keep visitors busy, with the outstanding Oceanographic Museum and Aquarium stealing the limelight, with its more than 4,000 fish. 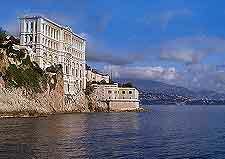 However, the luxurious destination of Monte Carlo has far more than just marine species to gasp at. Monte Carlo is home to one of the world's most priceless vintage car collections, owned and cherished by the Prince of Monaco and displayed for public viewing within its very own museum. Equal in popularity to this attraction is the Automatons and Dolls of Yesteryear exhibition, which pleases miniature fans with its period costumed characters. Home to 4,000-plus fish, including a shoal of red-bellied piranhas, Monte Carlo's superb aquarium is ideal for visitors of all ages. In addition to a 20-metre / 66-foot long whale skeleton and 200 kinds of invertebrates, the Oceanographic Museum and Aquarium is equipped with a top-floor restaurant, which offers splendid vistas of the Riviera beyond as you enjoy your meal. Adjacent to the Jardin Exotique (Exotic Gardens), the Museum of Prehistoric Anthropology deserves an hour or two or your time to discover its valuable Grimaldi burial sites. Founded by Prince Albert I in the early 1900s, this popular attraction traces the history of man through these and other anthropological remains, including those of extinct animals. A must-see for all car lovers, this outstanding collection of more than 100 vintage automobiles will wow drivers and fans of motoring history alike. Some of the highlights on display at the HSH the Prince of Monaco's Collection of Classic Cars include a 1929 Bugatti, a 1903 De Dion Bouton, a 1952 Rolls Royce and a 1986 Lamborghini Countach, all of which are in immaculate condition. 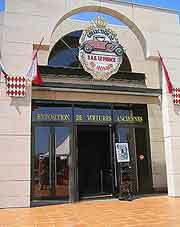 The Automatons and Dolls of Yesteryear is a particularly interesting museum and was created by Madeleine de Galéa. Appealing to doll and automat lovers of all ages, exhibits include endless costumed characters, which are displayed alongside miniature household items fitting for their use. All of the figures displayed are dressed in period costumes from the 14th century. Occupying a Charles Garnier-designed villa, the museum is backed by a pretty rose and sculpture garden. 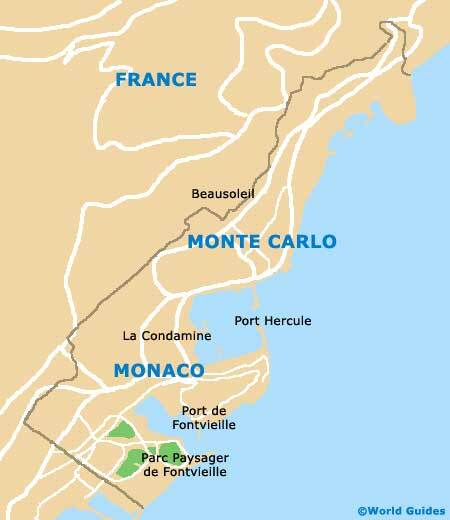 Visitors interested in the principality's history should not miss this wonderful introduction to the powers that have governed Monte Carlo since the formation of Monaco. An insightful 35-minute film takes visitors through time at Monaco Le Film, after which they can browse the Monte Carlo-related cinema posters displayed in the onsite exhibition.